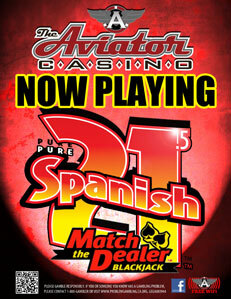 The Aviator Casino- Cash Games All Day Long! 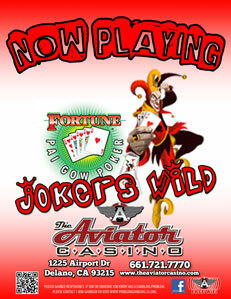 This exciting game where jokers are wild has become a favorite staple at The Aviator Casino. A variation on the community card theme, Omaha is played in both hi-lo split and pot-limit varieties. If you’ve watched Omaha on TV you’ve seen how exciting Omaha can be. 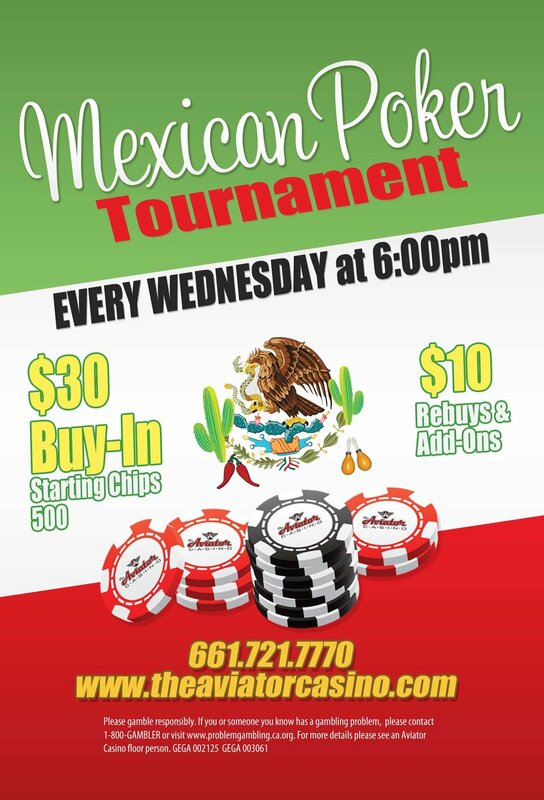 We offer Omaha tournaments and cash games for our customers around the clock. Fully Wild Joker is Here!! This American version of the ancient Chinese game of Pai Gow is played with cards (instead of tiles) and uses the traditional poker hand rankings. Fortune Pai Gow Poker combines the skill of poker with the excitement of table game action. Pure Spanish 21.5 where you are always a winner if you are dealt 21!